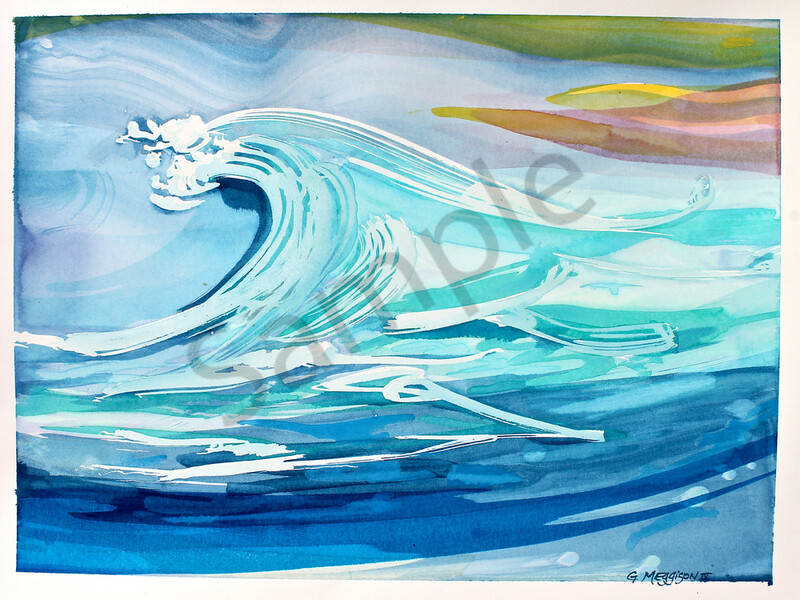 Great Wave is a contemporary art representation on 18"x24" watercolor on 140 lb. Hot press Arches paper. ( Select "Wall Preview" below for a room type, size and wall color to better view the art). Great Wave is a contemporary look at the wave as an abstract expression of energy and power. ( Select "Wall Preview" below for a room type, size and wall color to better view the art). Great Wave is a contemporary art representation on 24" X 18" watercolor on 140 lb. Hot press Arches paper. (I recommend printing on Fine Art Paper. Select "Wall Preview" below for a room type, size and wall color to better view the art). Great Wave is a contemporary look at the wave as an abstract expression of energy and power. (I recommend printing on Fine Art Paper. Select "Wall Preview" below for a room type, size and wall color to better view the art).